Euan Mullock in Editor's Picks World Affairs on 14 March, 2017. Turkey’s President Recep Tayyip Erdogan is seeking increased powers in a referendum due to be held next month. Turkey’s increasingly unpredictable President Recep Tayyip Erdogan has continued to drive a wedge between Turkey-EU relations after an unprecedented weekend of escalating rhetoric between Ankara, Berlin and The Hague. Erdogan, Turkey’s strongman since 2002 is looking to increase his presidential powers to even higher levels in an upcoming referendum next month, which would see him as one of the most powerful presidents in Europe if a “yes” vote prevails on April 16th. Erdogan and his allies have been increasingly targeting Turkey’s 3 million-strong European diaspora, focused mainly in Austria, France, Germany, the Netherlands and Switzerland, who still have the right to vote in Turkish elections and referendums and are seen as a bloc to be mostly pro-Erdogan. Despite the Turkish Constitution expressly prohibiting it, Turkish ministers have tried to campaign across the EU, with the escalating war of words coming after an incident where Turkish ministers tried to enter the Netherlands to hold a rally outside the Turkish consulate in Rotterdam. Dutch police used water cannons and horses to break up protestors as Dutch-Turkish citizens rallied for their homeland and the Turkish minister in question, Fatma Betul Sayan Kaya, attempted to give a speech in support of a “yes” vote. “No” campaigners in Turkey itself have been muffled by a media that is increasingly seen as pro-government and pro-Erdogan. 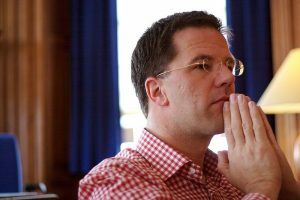 Dutch Prime Minister Mark Rutte faces an election tomorrow, after a weekend where his country was accused by Turkish politicians as being “Nazi”. He’s likely to finish second to far-right nationalist Geert Wilders. The Netherlands itself faces a general election tomorrow, with far-right Dutch nationalist Geert Wilders poised to gain the largest share of the vote, and setting up a likely further nationalist win in Europe when France goes to the polls next month. The election is already marked with issues such as immigration, integration, and Islam’s place in Europe gaining prominence, with centre-right Prime Minister Mark Rutte having to fend off attacks from the opposition for being “too soft” on the “creeping Islamization” of the Netherlands, being branded the “Prime Minister of the foreigners” by Wilders in a televised debate at the weekend. Turkey’s once-close relationship with the West has been noticeably cooler in recent years as the country suffers from terrorist attacks, a coup and a subsequent crackdown, and a leader seen as increasingly autocratic and authoritarian by Western governments as EU leaders fear a Turkey showing dictatorial tendencies. Erdogan has held nothing back with his rhetoric, describing the Dutch government as Nazis on Saturday, a similar term to which he described the German authorities as just a week earlier. Diplomatic relations between the NATO allies have been broken off and the Dutch ambassador ordered not to return to Ankara by the Turkish government. Erdogan has personally called Angela Merkel, Germany’s Chancellor, a “supporter of terrorism”, an attack that was met with a vicious rebuttal and outcry from Berlin, which also lent its full support to neighbouring Holland in its spat with Turkey. Austria has not been spared Turkey’s anger, with the government being accused of using “the language of the racists” by Turkish officials and Erdogan himself proclaiming that Nazism was still “alive in the West”. 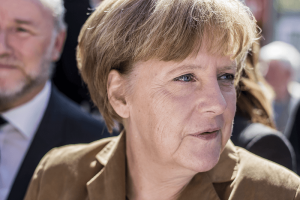 Erdogan has called Angela Merkel, Germany’s Chancellor who is herself facing an election later this year, a “supporter of terrorists” as tensions escalate between Ankara, Berlin and The Hague. Erdogan went further today, bizarrely calling out the Dutch as responsible for the Srebrenica massacre, the single worst atrocity on European soil since World War II, when Serb forces massacred 8,000 Bosnian Muslims in 1995 during the Bosnian War. He made the comments during a live televised speech earlier on Tuesday to the nation, despite little evidence to support this most recent claim. Experts point to Erdogan’s “imagined” European enemies as helping whip up support from nationalist-minded Turkish voters for the upcoming referendum, who backed him in huge numbers in the November 2015 election after he turned his ire towards the country’s large Kurdish population. Polls have shown the referendum as unusually close, with Erdogan courting every possible vote to eke out a win that critics have argued could be perceived as a referendum on his presidency. A loss would likely be a setback for the leader who has rung up successive electoral and referendum victories since coming to power and is used to Turkish voters’ affection. A win could see him legally in power for a further twelve years, longer than any Turkish head of state including the country’s secular and liberal founder, Mustafa Kamal Atatürk. Turkey’s already fragile bid to join the EU has been further jeopardised following a spat with two of the bloc’s most influential members. The souring of relations is likely to further harm Turkey’s already fragile bid to join the European Union. In talks since 2002, the transcontinental country had received support within the EU for joining the bloc from the United Kingdom, Italy, Greece, Spain and the Czech Republic before relations worsened last year.